A Scottish start-up has developed a method of making eco-friendly packaging from waste seafood. CuanTec use the head, shell and legs of langoustines to extract a substance called chitin which is used to create a flexible and stretchy bio-degradable film for seafood packaging, reducing the amount of plastic waste that ends up in land-fill and our oceans. 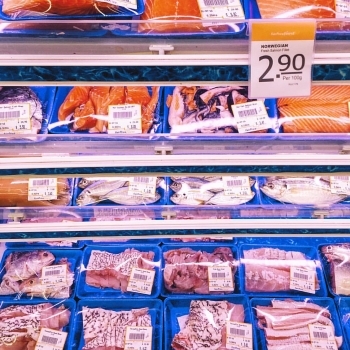 Plastic wrapping on your seafood could soon be a thing of the past. Traditionally, the process used to make these biodegradable films requires high amounts of energy. However, CuanTec’s bio-fermentation method dramatically reduces energy use, making the process even more environmentally friendly. 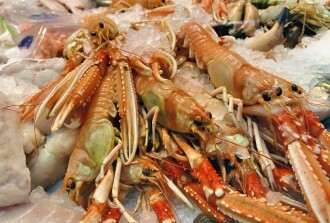 Based in Motherwell, Scotland, Cuantec currently only use langoustines, which they source from Scotland’s abundant and pollutant-free supply. However they are already exploring alternatives including lobster, crayfish and crabs. The product has an added benefit of reducing the need for preservatives due to the material’s ability to limit the growth of micro–organisms, such as bacteria and mould that cause food to perish, which they believe could double the shelf-life of products such as salmon. The idea comes from Ryan Taylor, an analytical chemist who pitched the idea to the Stratyhclyde Entrepreneur Fund, who provided the seed funding. They are now product testing with seafood retailers and are hopeful that regulatory approval will be granted within the year. Photos: Langoustine, Jpellgen. Fish, Debbs.